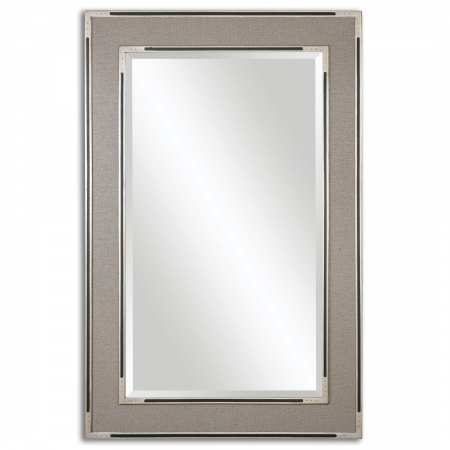 The sleek design of this contemporary style mirror makes it a welcome addition to many styles of room dÈcor. The inner and outer framing sections are created with a silver tone that has a black accent line. 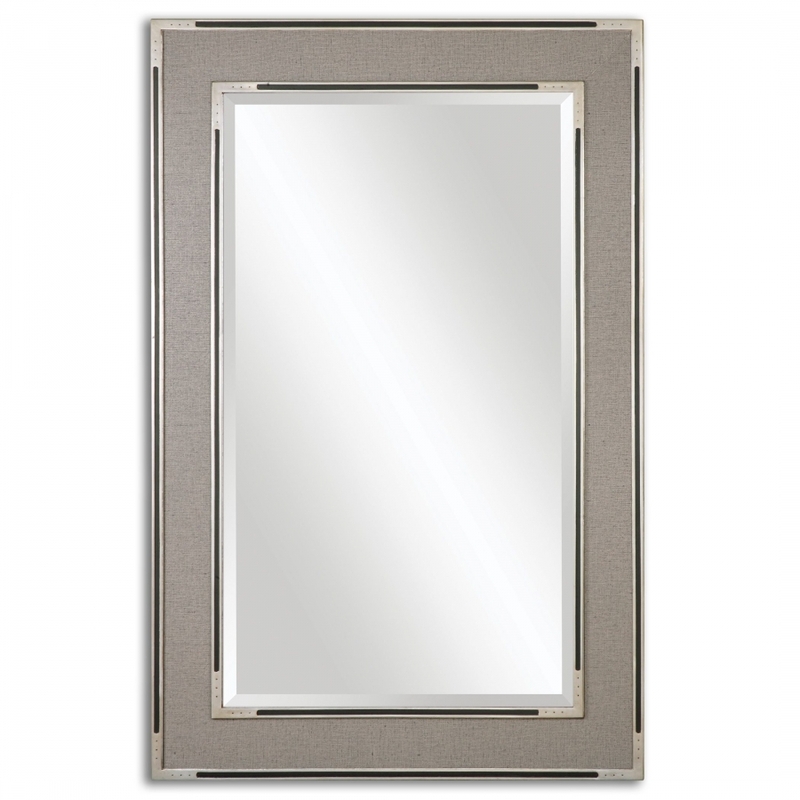 The inlaid section between these sharp looking pieces has a beautifully textured fabric in a gray color. These color tones complement the reflective surface very well. The size of this piece will provide ample room for personal viewing. 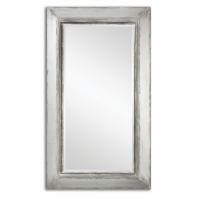 At just over four feet tall and 30 inches wide, this mirror will do a lot to make the area around it feel very spacious.